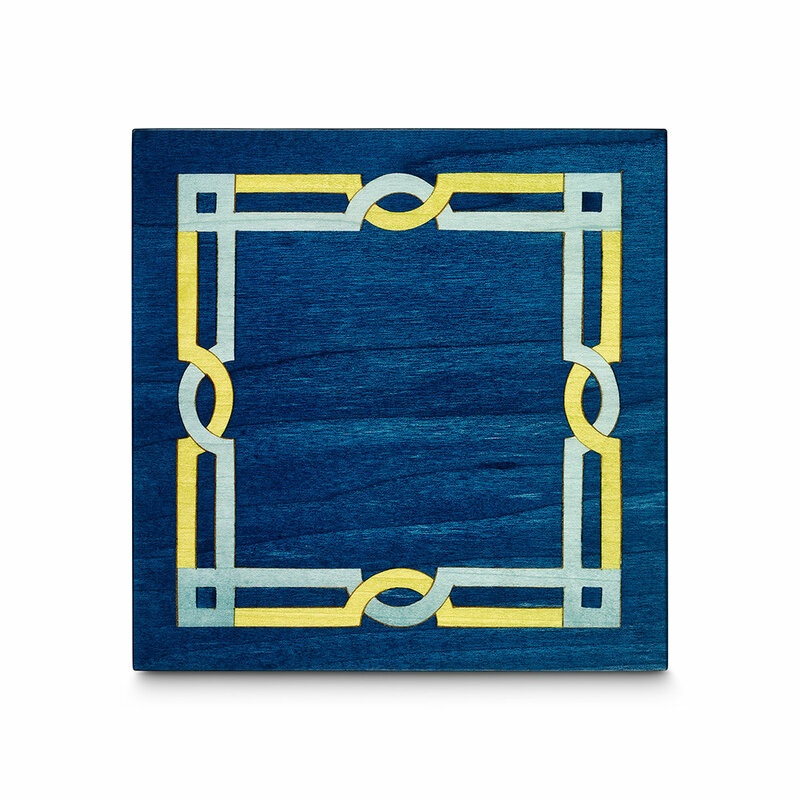 The Carolina Collection reflects the blue skies of our home state of North Carolina, and the blue-green waters of the Mediterranean, where wood inlay has its roots. This understated pattern is inspired by the traditional borders found on marquetry floors. Its thin lines and ovals form an infinite chain, representing an enduring link to your loved one and creating a timeless memorial that will be cherished for years to come.